Who doesn’t love a homemade gift with all the love and affection in the world? Homemade gifts have succeeded in maintaining a more prestigious and caring image since ages. Listed in this article are the 7 amazing, eye catching and heart-warming homemade gift ideas that you may try for birthdays, Christmas or virtually any other occasion. It’s one of the easiest gifts to make and present to your loved ones. Place the pretzels in a box that is with wax tissue paper. Take a container safe for microwaving, lined with waxes paper and place the milk chocolate in it. Heat it for a minute or two on ‘HIGH’ mode until the chocolate melts. Occasional stirring will help smooth the chocolate chunks. Side by side, place the desired toppings on a different waxed papers or plates. 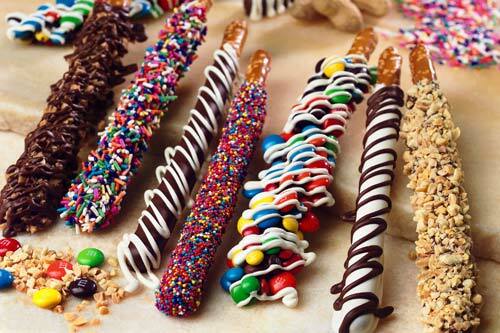 Hold a pretzel rod and dip it in the melted milk chocolate. Tip the container to at least get the chocolate coating on half of the rod. Let the extra chocolate drip off back into the container. Sprinkle the desired topping right away over the coated pretzel. Place these topped pretzel rod in a shallow bowl or some pie plate, allowing the uncoated area to lean over the edge. Do the same with other pretzel rods and avoid placing them closely to each other in the shallow bowl. 20 minutes will be sufficient to set the top coat. Store the pretzels in air tight container at the temperature of room. Here is nutrition chart that can give you an overview about what each serving contains. Using the painter’s tapeto make a reindeer antler on the natural fiber mat. In a good ventilated area, give 1-3 even coats of enamel based spray paint on the area of that mat that’s left exposed. Spray paint the mat from a distance of 8-10 inches. Once the spray paint dries off, peel off the painter’s tape carefully. Viola! 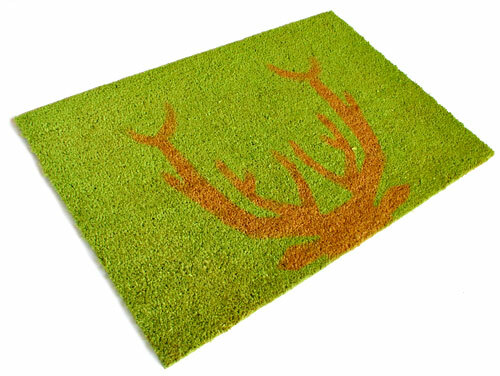 Say hello to the DIY doormat. Trace the slipper template with a chalk pencil onto the felt. Template may be reduced or enlarged according to the sole worn by the person. Cut the slipper and the T-shaped slit. 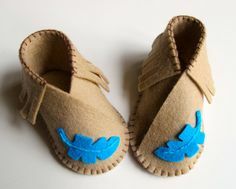 Lengthwise, fold the felt into half and carefully stitch the open side and around the toe. The shorter heel edge must be left open. Close the heel and sew it from the top all the down. Leave an inch or 2 open while making a shoe of smaller size and an inch for shoe of larger size. Cut the felt to obtain a flap at the shoe’s heel, leaving a smaller flap sticking out. Tuck in the tag carefully and stitch it shut. Flip the slipper inside out.Use a pair of scissors to round the margins of corners, then fold it up and stitch it to the slipper’s exterior. By folding the cuff around the ankle, stitch its edges to the slipper. Carry on the same steps for the other slipper, but don’t forget to flip the felt as the T-shaped slit will now be in the opposite direction. Features: This is one magic product that’s easy and quick to prepare. 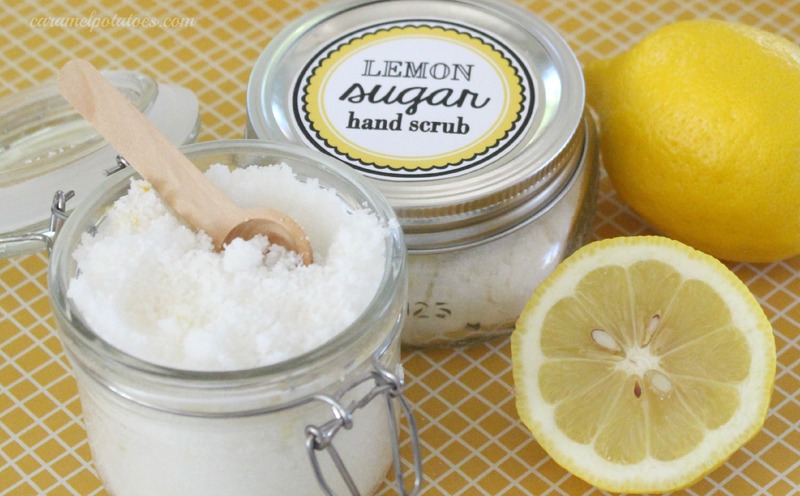 It will keep your hands from drying during cold season. Add sugar in a big bowl. Take a separate container safe for microwaving and add ¼ cup coconut oil allowing it to heat for like 30 seconds, by which time it will melt. Pour this melted oil on the sugar placed in the bowl and mix well. Grate the rind of 1 lemon. Cut this peeled lemon into half and juice it with an appropriate juicer. Make sure to remove all the seeds. Add this juice along with the zest into the mixture of oil and sugar, then mix again. If the desired consistency is not achieved, add ½ cup more of sugar. 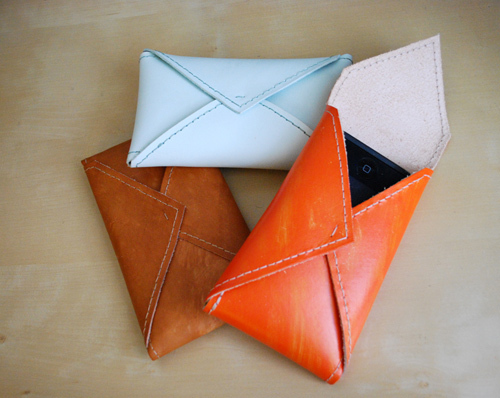 Print the cell phone case pattern and lay it on top of the leather. Use the stitching owl to make holes according to the printed pattern. Cut the pattern, then stitch the leather in and out in the holes you made, creating a dashed line.Similarly stitch the unstitched areas. Overlap at least 3 stitches to make it firm. Fold the right and left triangular flaps and sew them together. Be sure to align 4 of the poked holes.Use e6000 glue to keep the bottom flap at its place and hold it firmly to let the glue set in. Take a card stock and trace your kid’s hand. Cut it out. Use a chalk pencil to trace the coasters on the first fabric. The number is up to you. Cut the fabric in rectangular shape containing what you traced, followed by cutting the interfacing and second fabric to fit the size. Fuse the interfacing between the first and second fabric using a hot iron. Now cut what you traced with scissors. Place the T-shirt on a flat surface. Cover the exposed area around it using some newspaper. Insert a cardboard inside the T-shirt to keep the paint from leaking to the other side of the shirt. Add some fabric paint to the styrofoam plate, spreading it evenly around the whole plate. Take a step on the plate with the paint covering your entire foot and then step on the shirt. After the fabric paint dries, you may use a black fabric paint to write cool things on the shirt such as ‘’my kids walk all over me’’.